The Blaenavon landscape constitutes an exceptional illustration in material form of the social and economic structure of 19th-century industry. The area around the Blaenavon ironworks provides an extraordinarily comprehensive picture of the South Wales coal and iron industry in its heyday in the 19th and early 20th centuries when it was one of the world’s largest iron and steel producers. All the necessary elements can be seen in situ: coal and ore mines, quarries, a primitive railway system, furnaces, the homes of the workers, and the social infrastructure of their community. From at least 1675, iron ore was extracted on the mountains of Blaenavon. However, the area was virtually unsettled and used only for small-scale iron mining and grazing. In 1788 Thomas Hill, Thomas Hopkins, and Benjamin Pratt built a major new ironworks at Blaenavon, putting into practice the latest technology and organization of the Industrial Revolution in a new and resource-rich setting. By 1789 the ironworks consisted of three blast furnaces using steam power, making it one of the largest in the world. In 1817 adit mining for iron ore and coal developed on a larger scale, replacing surface scouring, and shaft mines were introduced, with sophisticated drainage, haulage, and ventilation arrangements. The population grew rapidly through the migration of workers from rural areas of Wales, from the industrial Midlands, Ireland, Scotland and rural England. Blaenavon parish, which had been minuscule before the ironworks was built, had grown to 11,452 in 1891. The social development of the area created a thriving urban culture. A rapidly created industrial landscape grew up of iron-ore patches, coal mines, limestone quarries, iron forges, brickworks, tram roads, watercourses and workers’ houses, all controlled by the Blaenavon Company, which was reorganized as a joint stock company in 1836. During the 1840s and 1850s the scattered housing of the workers and the works’ school, church and chapels were complemented by the evolution, on land outside the company’s ownership, of a town with a variety of urban functions. There were three principal clusters of buildings in the area, one around the Ironworks, one along the east-west axis, now King Street, and one around St Peter’s Church. The relative decline in steelmaking from around the turn of the century permitted the growth of coal production for export. Steel production ceased in 1938, and Big Pit, the last substantial working colliery, closed in 1980. Big Pit is now a museum of coal mining of international significance, and one of only two mining museums in the United Kingdom where visitors can be taken underground. 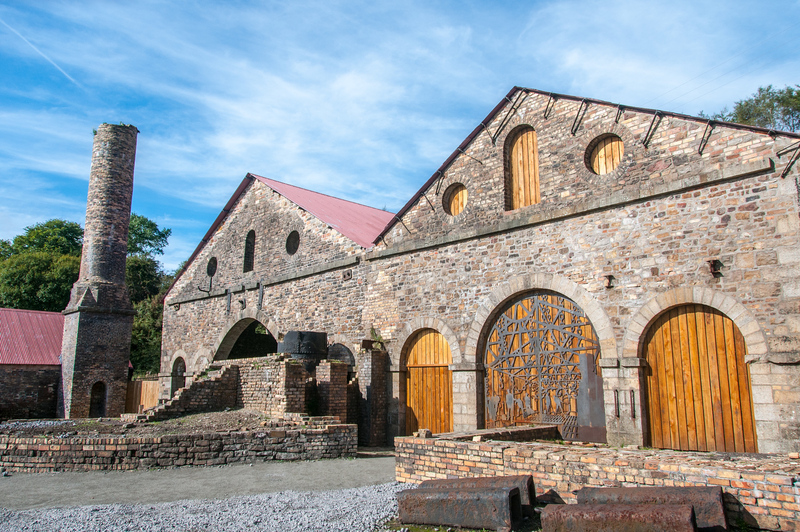 The conservation of Blaenavon Ironworks has contributed to economic regeneration. The town and the surrounding landscape have survived little altered to represent the story of their past. One of my favorite type of world heritage sites to visit are industrial sites. Sites which preserve and commemorate advancement in industry from the 18th-20th centuries. 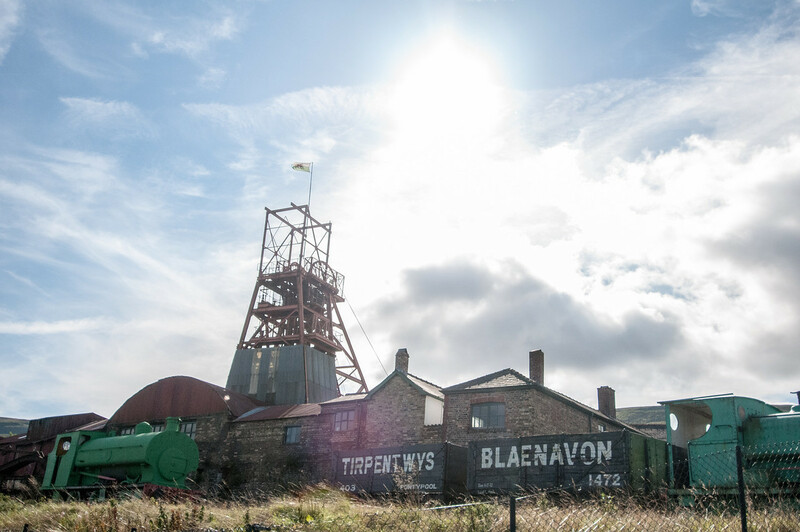 One of the most important industrial heritage sites in the world is at Blaenavon. In the 19th Century, southern Wales was the epicenter of the Industrial Revolution. Here you had the two building blocks of early industry: coal and iron. 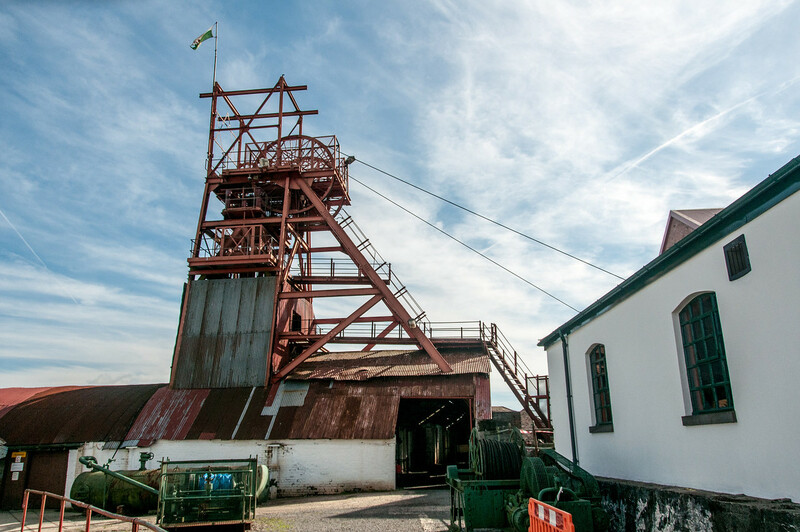 Within the town on Blaenavon are two preserved facilities: The Blaenavon Ironworks and the Big Pit National Coal Museum. The Ironworks started a business in 1789 and is the world’s best preserved 18th-century ironworks. (The ironworks are seen in the photo at the top of the page.) The ironworks is also famous for being the first place where the Bessemer process was used to make steel. It was discovered by Sidney Gilchrist Thomas in Blaenavon and was the foundation for global steel production through the 1960’s. The Big Pit National Coal Museum is just a short trip up the road from the ironworks. It was a working coal mine through the 1980’s and is one of the most popular museums in the UK. In addition to the surface buildings you can also take a tour underground and it is one of the only places in the UK which does underground tours. However, the scope of the world heritage site goes beyond the industrial sites in the town of Blaenavon, it also includes many square miles of the surrounding countryside which was influenced by industrial development. This includes everything from iron and coal mines to centuries of medieval ore digs and ponds built during Roman times. This might be the only world heritage site which preserves a sizable tract of land precisely because of human impact upon it. Blaenavon can easily be visited by train from any major city in Great Britain. It is currently the only world heritage site in the UK which has a dedicated visitors center. It is also adjacent to the Brecons Beacons National Park, which should also be included to any trip to the region. The Blaenavon Industrial Landscape is a cultural UNESCO World Heritage Site in the UK. It was inscribed in 2000 and is recognized for the early production of iron and coal. The town is filled with ironworks and coal mines that helped to support its economy, and to which it has earned its cultural value for. This World Heritage Site consists of several historical buildings that form the industrial landscape such as those involved in the industrial processes, worker’s housing, transport infrastructure, and other monuments linked to its industrialization. The Blaenavon Industrial Landscape is located in Torfaen in Wales, United Kingdom. 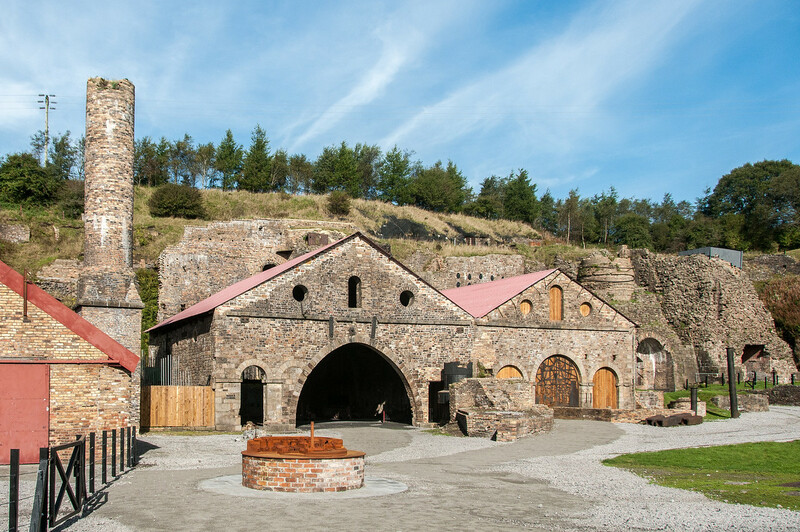 The former ironworks and coal mine site is now available as a museum known as Blaenavon Ironworks. The Blaenavon Industrial Landscape consists of several monuments and historical buildings that were instrumental during the industrial development in this part of Wales. In fact, it is important as it is a microcosm of the Industrial Revolution that took place in Britain. Coal and iron are two of the main products that were manufactured at that time and most of them originated from South Wales. Production of iron grew significantly from the late 18th century to the mid-19th century. The iron were used for the manufacture of various types of infrastructure such as factories, engines, and railways. The World Heritage Area of Blaenavon Industrial Landscape consists primarily of the industrial area that was developed by the Blaenavon Company, which they leased in the late 18th century. This area was basically transformed by the presence of this company on the region performing various mining and iron making activities. The entire site spans 3,290 hectares in land area. Among the common features within this industrial landscape are the mines, quarries, canal, manufacturing plant, along with the transportation and social infrastructure. The Blaenavon Ironworks was operational from 1789 to 1902. To this day, the remains of this old industrial company has remained intact and in an excellent state of preservation. The Big Pit, which is a deep coal mine, was one of the last few components of this industrial landscape to be operational. The Big Pit Colliery and some parts of this industrial landscape have been re-opened as a museum. In fact, visitors are welcome to take the underground tour in order to get an idea of how the miners and ironworkers did their job during the 18th century when the mine was still in operation. 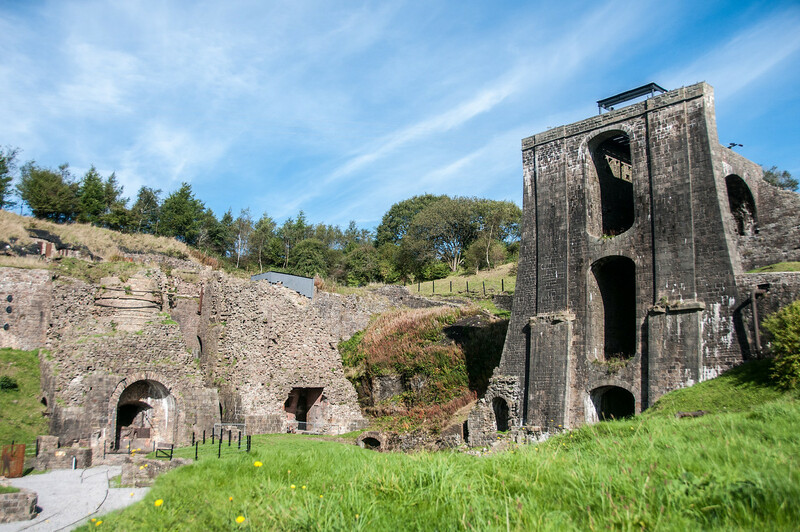 Even though there are more than 3,000 hectares covered by the Blaenavon Ironworks operation, only 33 square kilometers of it is protected by UNESCO. Blaenavon Industrial Landscape was the first cultural landscape to be recognized in the United Kingdom. In total, there are 24 monuments and 82 buildings that are officially part of this landscape. Prior to it being named as a World Heritage Site, many of these buildings were vulnerable as they had little to no conservation work done. But after it has been listed by UNESCO, there have been extensive work done in order to preserve these monuments. As part of this development, a World Heritage Center was opened on the site in 2008. View my complete list of UNESCO World Heritage Sites in the United Kingdom.